O Donnellan and Joyce are delighted to offer for sale by Private Treaty this four bedroom semi detached residence in the popular residential development of Fearann Rí, Doughiska, Galway. The development is conveniently located on the East side of Galway city and offers all that one would require in terms of modern day living. The location of the property is separate to the main estate and found nestled away in a private row of 6 houses. The area benefits from a variety of services & amenities. It is ideally situated within moments of the Galway Clinic & Merlin Park Hospital, Boston Scientific, Merit Medical, Creganna and a host of amenities such as Aldi, Iceland and the Briarhill shopping centre. Also located in the area are a host of local quality schools and sporting facilities with football & astroturf pitches, basketball & tennis courts all nearby. No 2 Fearann Ri, is presented in turn key condition, the accommodation on the ground floor is comprised of an entrance hall, a downstairs toilet and an open plan kitchen, dining and separate front sitting room. A nice size private rear garden enjoys a favourable South West aspect to rear. The sleeping accommodation comprises of 4 bedrooms, master of which is en suite and main bathroom completing the accommodation. 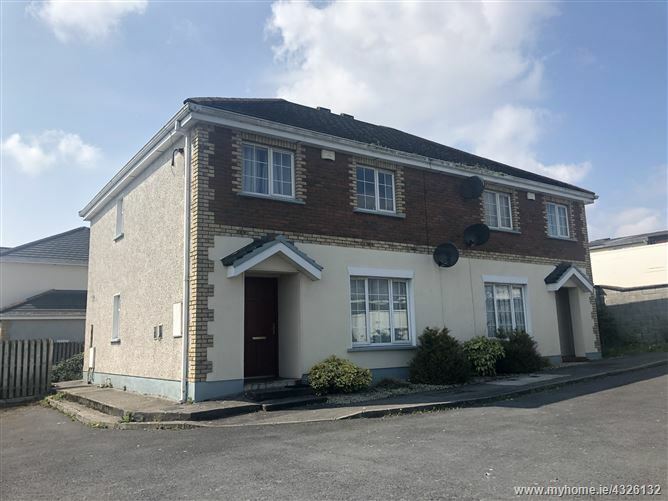 This property would prove to be the ideal owner occupier residence or alternatively a superb investment property due to its ideal location and close proximity to Galway city and its surrounding business parks and industrial estates. Frequent transport links notably allow easy access to Galway City & neighbouring surburbs, whilst there's easy access to both the M6 Galway-Dublin motorway & M18 Galway-Limerick motorway. Viewing of this immaculately kept residence is highly recommended and guaranteed not to disappoint.